Every now and then, we have the opportunity to be a part of something incredible and we are always more than happy and excited for the chance to make our city a better and safer place. 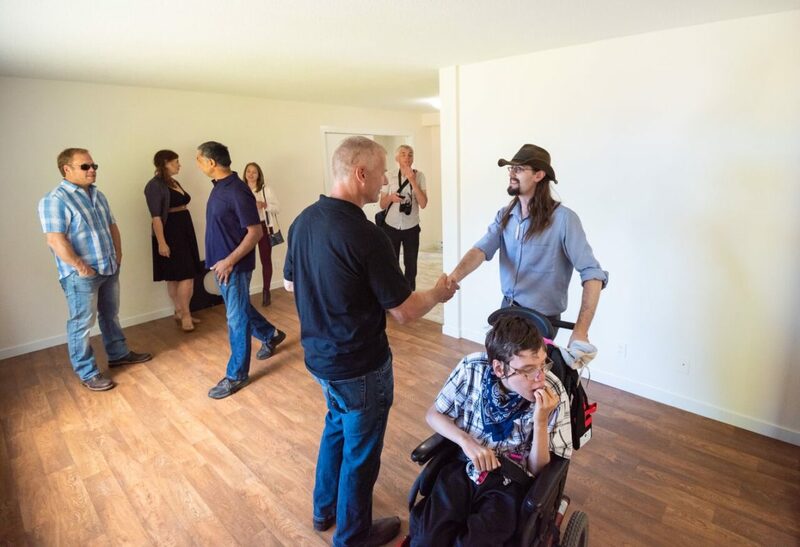 Most recently, we were contacted by Horizon Pacific Contracting to assist with the remediation of the home of a young family with a son suffering from tuberous sclerosis. Curtis Erickson shakes hands with the Millers during their first-look at the remodeled space. Ian Arnold and his wife Allison Miller once had to carry their son Corvin up a flight of stairs to use the bathroom and had converted their living room space to his bedroom. Corvin’s rare genetic disease includes symptoms of skin abnormalities and seizures and he is confined to a wheelchair and unable to get around without the help of his family. With the configuration of their new space, Corvin has a bedroom on the main floor, a bathroom he can now access easily, and enough space in the kitchen for the family to enjoy meals together. 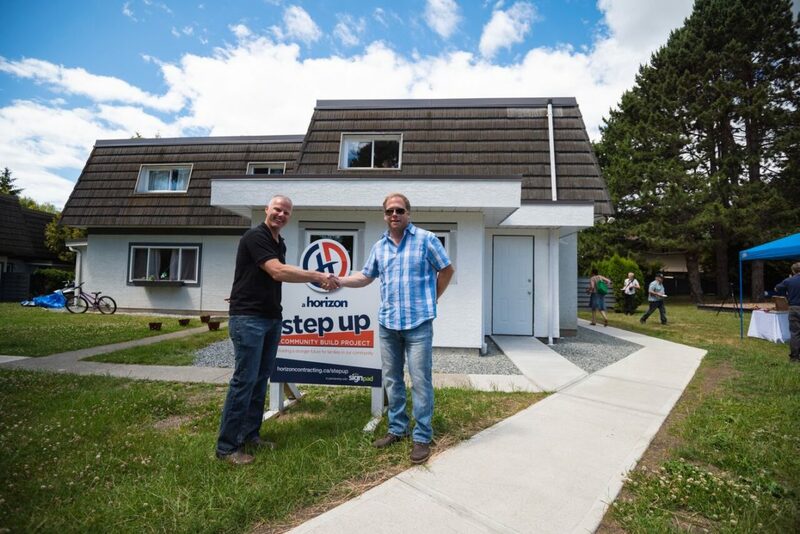 Horizon contacted us to see if they were interested in taking part in their Step-Up program and of course, we were happy to donate our services. Specifically, sheet vinyl flooring, drywall, and vinyl floor tile that was containing asbestos needed to be removed. Our main objective was to remove hazardous materials so they could rebuild. We had an excellent crew of employees help with this project and would like to recognize Stephan, Sheldon, Lee, Anthony, Tristan, Ethan and Gregg (our team supervisor and operations manager) who all played integral roles in the completion of this project. We would love to continue to be involved in more projects completed by Horizon Pacific and hope to be a part of future ventures. It is a very innovative program that makes a big improvement in the quality of life for people who truly need it.